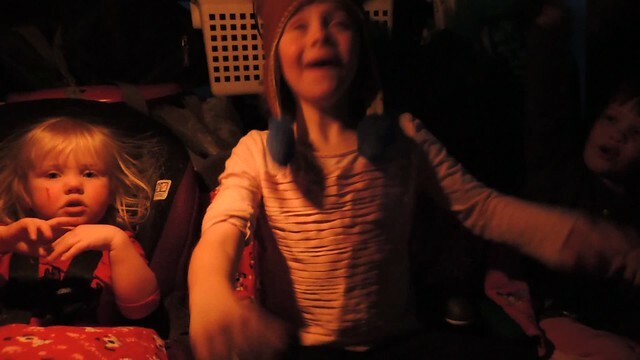 “Well, I guess in Michigan they have really big cats and lots of snow.” Ivy stated as we drove to meet my Uncle for an afternoon of skiing and sledding. John and I agreed. It was undeniably true that the house cats we had seen since arriving in Michigan were huge (I think one of them is actually part mountain lion) and the snow was impressively deep. While I’ve no photo evidence to show you that the cats were at least three times the size of ours (and part mountain lion), I did bring the camera out into the snow. After an entire afternoon of skiing and sledding followed by a delicious dinner, we headed back out into the snow for a fire and s’mores. 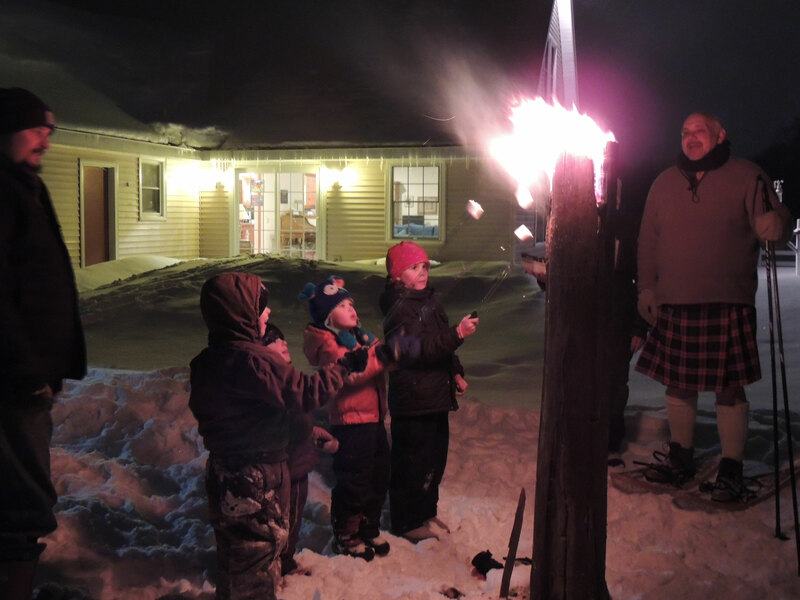 In Michigan, they have really big cats, lots of snow and they take perfectly good Finnish candles, call them Scottish Cabers and then stand around them in their kilts. Alright, to be fair to the rest of Michigan, I’m pretty sure it’s just my uncle that does that. But we are so grateful that he keeps putting our animals back together when they break that we’ll still admit to being related. No worries we didn’t bring any really broken animals with us this time. Just some veterinary maintenance that Clara presided over. All in all it was a great trip, even the drive (two adults, three kids, two dogs, two cats through Chicago) wasn’t too bad.